If you are an avid Pokemon Pop Vinyl Figures fan or collector, you’ll be happy to learn of new figure releases. In this post, we’ll look at these new upcoming Pokemon Pop Vinyl figures and when they’ll be released. The Pokemon Company and Funko earlier this year announced that they’ll be introducing new Funko pops in the market. Certainly, this is welcoming news to just about every Pop Vinyl Figures fan or collector. To add on to this is the fact that the new Funko pops are all from one line that’s rightfully titled “A Day with Pikachu”. The first release of this new Pop Vinyl Figures line was on February the 27th. And what did they release on this date? 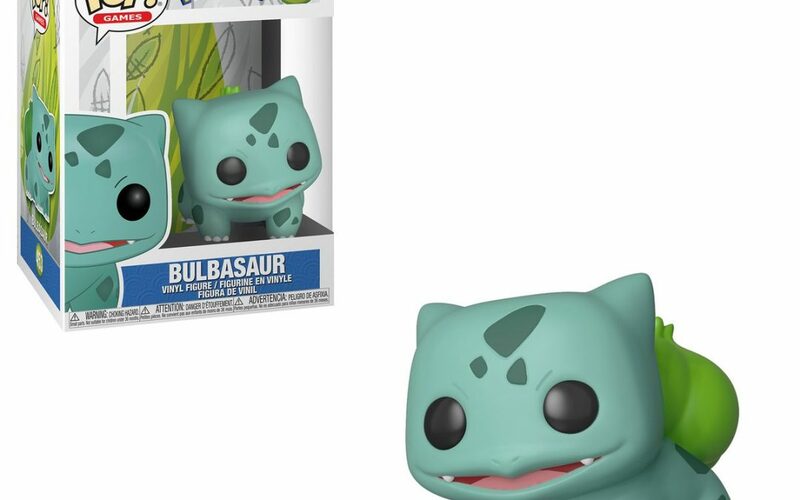 Well, they released a Funko pop titled “Bulbasaur Pop”. By simply looking at this Funko pop, there are certain features that you’ll easily point out and like. For instance, these Funko Pop Vinyl Figures have a similar feature to other Funko pops we already love. One such feature is its deep black eyes of doom. But with this new Funko pop, the eyes offer much more. By simply looking at it straight into the eyes, you’ll feel like it’s staring directly into your soul. In case you haven’t seen these new Pop Vinyl Figures, click on this Original Funko Twitter account. You can as well, visit Original Funko Twitter account to get a clearer look of these Pop Vinyl Figures. While there is much to be excited about with this new Funko pop, we can already look forward to better things. During their joint announcement, the two companies also revealed that they’ll be releasing Funko’s every month. Yes, you heard that right. Starting this March you can expect new Pop Vinyl Figures all year long every month. With the aim of delighting both Pokemon and Funko communities, expect only the best with new pops. Now that you are aware of upcoming Funkos, let’s get into more details on what to expect. That said below you’ll find a list of all Funko pop’s to expect this year. Also included is the month they will be released. With this information, we hope that you’ll have a clear picture of what to expect this year. There you have it, new Pokemon Pop Vinyl Figures that are coming soon. We would like to know what you think about this new Funko pops. Did they tick your box with any of them? Or would you like to add some? Share with us your thoughts in the comments section below. To get more information about the Pop Vinyl Figures in this post, feel free to contact Kollectable Kaos. Contact one of their representatives by dialling (08) 8262 8234.